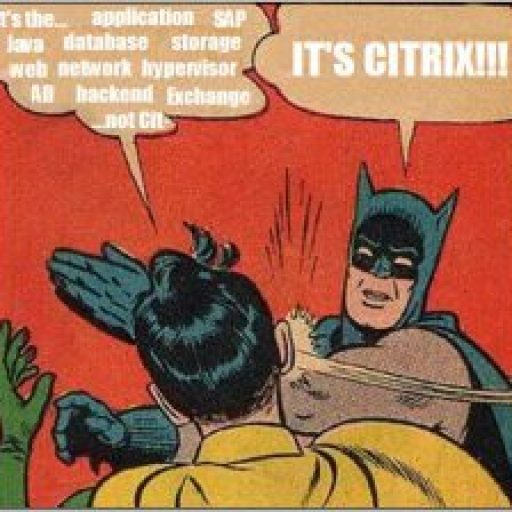 AppSense, allows for very granular control of the user environment. In most cases (if not all), it can completely replace login scripts and Active Directory Group Policies. In this post I will highlight how to have multiple conditions in a node. 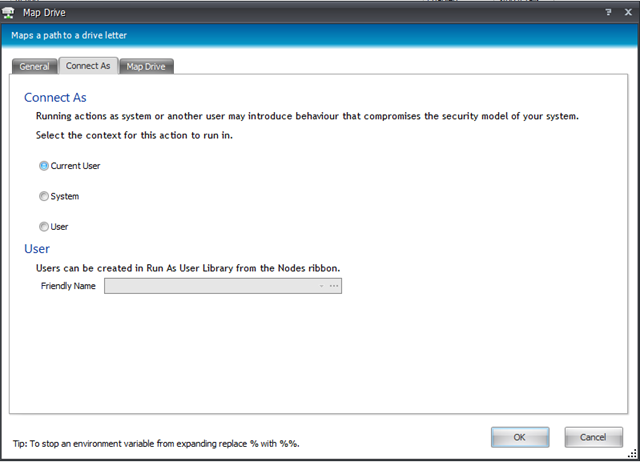 You can map network shares manually, via a login script, or in group policy. Typically, this triggers off group membership and results in some complex login scripts. 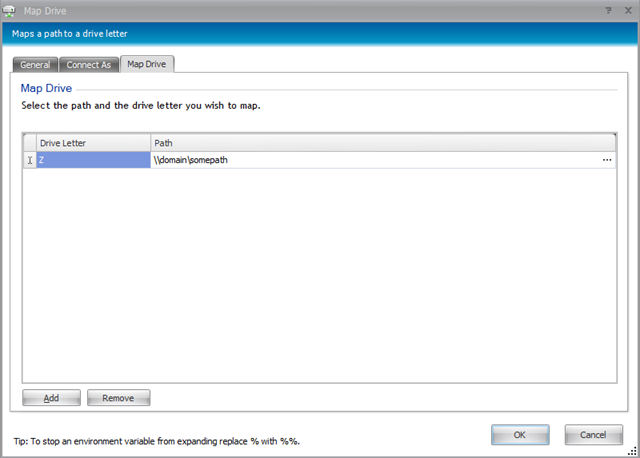 In AppSense, the drive mapping dialog is simple. You choose the drive letter, the path, and which user will perform the mapping. Once you have configured the drive mapping, you can apply a variety of conditions. For this example, we’ll use group membership. The first condition we trigger on is the explorer.exe process. Processing continues to the 2 nested conditions which check the user’s AD group membership. The light-blue rectangle to the left indicates that either one or the other group membership condition be true to continue (in other words, this is a boolean OR condition). Finally, AppSense maps the user’s drives.